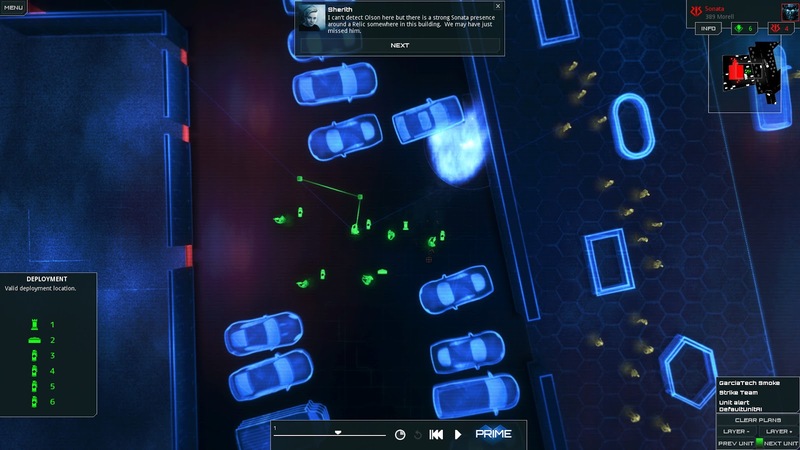 The original Frozen Synapse was an incredibly clever strategy game that initially flew under the radar when it first released seven years ago, but it did gain a loyal following as more people came to appreciate its unique tactical brilliance. Frozen Synapse 2 does a fantastic job of doubling down on the unique tactical combat system while expanding the scope of the battlefield and the tactics at your disposal. Make no mistake, this is a stylish, smart game that tactics fans should play. The key mechanic that makes the Frozen Synapse games unique is that while they are turn-based strategy games, both sides set their orders and then both sides play out at the same time. It is a concept I have seen in a handful of other games, but it is executed so well here. Turns come in five second slices as you attempt to guess what your opponent is going to do. There is a simulation option that helps you plan and guess what your opponent will do next, but when it comes time to actually press the PRIME button and let the bullets fly, it is fascinating, tense and exhilarating to watch the turn play out. These moments are undoubtedly the highlight of the game, because as they play out I found myself second and third guessing so many of my decisions. So the core gameplay mechanic of plotting out each turn and watching them unfold remains fundamentally the same, the grand scale with which the world of Frozen Synapse 2 is presented is the biggest change. The original game often felt somewhat claustrophobic, with the combat centred around around rooms. Here there is a more open approach, with a large neon city as the broader area of play. These procedurally created environments look fantastic, with Tron-like glow standing in sharp contrast against the inky black background while an upbeat, thumping soundtrack really compliments the visuals that matches the futuristic cyberpunk vibe throughout. 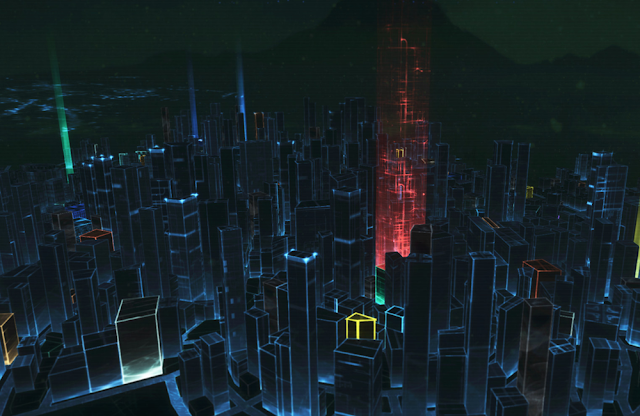 Frozen Synapse 2 is clearly not a big budget, AAA game, but I really love the aesthetic that the developer has achived. The majority of the city's buildings are outlined in a powder blue shade, while some are highlighted in yellow or crimson set against a slightly murky background with some glowing cityscape and a sprawling mountain. The single player story sees you getting involved in different factions vying for control of the city. Because everything is procedurally generated, every match plays out differently as missions and contracts are offered to your team of operatives, despite the somewhat linear natures of the story. You will be hiring solders with numerous types of weapons at their disposal, and as one would expect there are significant differences in how a mercenary with a rifle plays versus a mercenary with a shotgun. Terrain is important as you consider lines of sight and how close to try and get with your various units. Using a flame thrower in close quarters is a fantastic option - but make sure he does not get picked off by a longer ranged opponent before he can really strut his stuff. In the single player campaign, the computer AI is logical, very sharp and it will punish you for short-sighted mistakes. It is absolutely worth playing out the trial scenarios before doing it for real and pressing the PRIME button. By and large however, I was able to figure out what the AI was going to do by the end of the game without a lot of test runs. I would not go so far as to say that my computer controlled opponents were outright predictable, but there is a sort of playbook that the AI tends to adhere to. That makes multiplayer matches far more interesting, if only because that element of unpredictable decisions really shakes things up. In either scenario it really is a matter of skill and strategy, not getting a bum roll from the RNGods. When things did go badly, it was usually my fault and something I could have prevented. That is what makes the simultaneous so entertaining, if incredibly tense. For all of the things I really enjoy about Frozen Synapse 2, there are some issues worth noting as well. Sometimes you just have to wait for time to pass before your patrols have someone to interact with, or before you can really move the events forward. Thankfully there is a fast forward option to help compensate for this, but it creates a sense of uneven pacing at times. Also, the UI is pretty clunky in places. It can be challenging to see what your next challenge is. This is also a very menu-heavy game, which is not necessarily a huge issue, but there were times I found myself wondering if certain repetitively accessed items could not have benefited from a bit of streamlining in the interface. It is also worth calling out that Frozen Synapse 2 had something of a rough day one release, with some crashing (I had about three in my first two hours of play, and some research online shows that I was not alone), and a weird cache issue that prohibited advancing the game. To the credit of Mode 7, the team was quick to roll out patches and address them, and I have not had any stability issues since. From what I have gathered on the forums, there are still a few users running into issues here and there, but by and large most of those day one lumps appear to have been addressed. 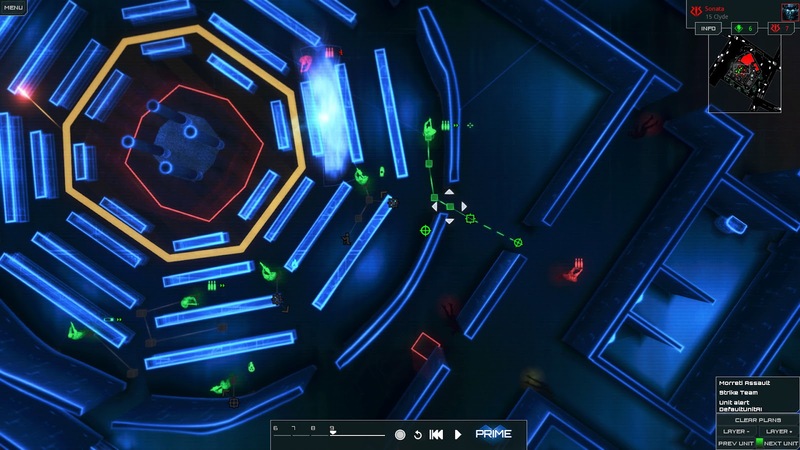 If you have a strategy itch, Frozen Synapse 2 is a great way to scratch it. There are some obvious comparisons to be made to the excellent XCom series, and that is great company to be keeping, but Frozen Synapse 2 still manages to to be its own unique experience as well. The neon drenched cyberpunk presentation is entertaining, but the tactics are where the bulk of the fun is going to be had. There is room to improve the pacing and interface and help streamline the experience, but it is great to see Frozen Synapse back.